Across Spain, and here in Marbella, you will find many beauty salons and hairdressers offering Botox injections, many of them advertising what appear to be very attractive prices. But what risks do you take by choosing to have your procedure outside of a medical setting? Ocean Clinic answers your questions related to the rules, regulations, and risks around Botox and other cosmetic injectables, so you may be fully informed when selecting a practitioner. The laws around administering cosmetic injections in Spain are very strict. You need to be a qualified doctor registered with the Ministry of Health. In addition, doctors undergo specialist training and gain specific qualifications. The clinic where the treatments are given must also be licensed. According to Spanish law, not even nurses or dentists are allowed to give cosmetic injections. It must be understood that a Botox injection is a medical procedure. It involves the injection of a potent neurotoxin into neuromuscular tissue, in order to paralyse facial muscles. It is therefore vital that the practitioner is highly skilled and medically trained. Having Botox is not the same as having a facial or a manicure, and in the wrong hands the results can be disastrous. Properly administered, Botox is a safe and well-tolerated treatment. However, there are a number of side effects that may be experienced when the injections are given by an under-qualified practitioner. The most serious include drooping of the eyelids, blurred vision or decreased eyesight, unwanted weakness/paralysis of nearby musculature, and facial necrosis (death of the skin, leading to unsightly scarring). In addition, patients may experience an allergic reaction resulting in hives or swelling, or in rare cases, anaphylactic shock. If complications do occur, being under the care of a qualified doctor in a fully equipped medical setting ensures patient safety. In the UK, the laws around administering botox and fillers is much laxer. People with no medical training, such as beauticians, can administer cosmetic injections and do not have to be registered with the Care Quality Commission (the independent regulator for health services in England). The Royal College of Surgeons and The British Association of Aesthetic Plastic Surgeons (BAAPS) are campaigning for stricter controls. They believe only those who have medically recognised qualifications and training should carry out cosmetic procedures, and in a registered clinic with resuscitation equipment on hand in the event of an emergency. I've been invited to a 'Botox party'. Should I go? A 'Botox party' is a social gathering, often held in a person's home, at which Botox injections are given. Having your treatment at a so-called Botox party may appear an attractive choice – you may feel more comfortable in a domestic setting and supported by the company of your friends, who are also being treated. You may also enjoy discounted group rates. However, even if the practitioner administering the injections is a qualified and registered doctor, it is always advisable to receive treatment in a medical setting. A Botox party might not have measures in place to ensure safe and effective treatments. You should also avoid drinking alcohol before getting Botox injections, as this can increase your tendency to bruise afterward and prevent you from fully understanding the risks and benefits of the treatment. If you're considering having Botox injections in Marbella, don't take chances. 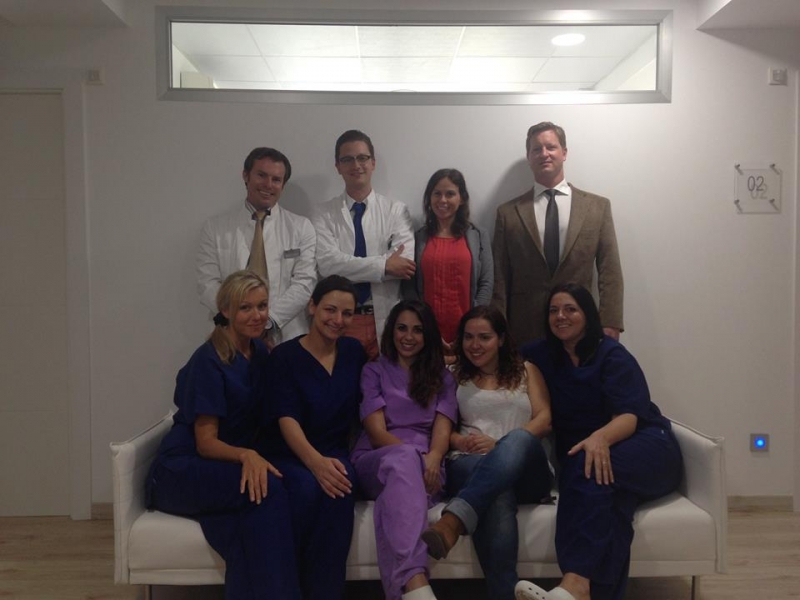 At Ocean Clinic Marbella, cosmetic injectables are administered only by fully qualified and highly experienced doctors. You will be offered an extensive consultation before the treatment is performed to help determine if Botox is right for you or if maybe another surgical or non surgical procedure is better suited for your individual case.